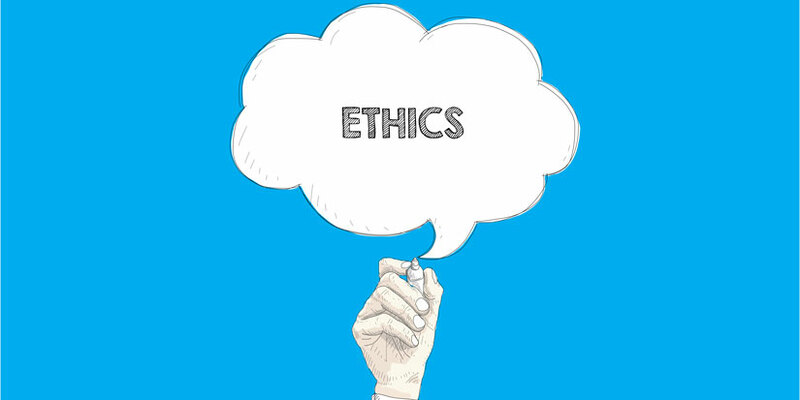 It`s really hard to define ethics because nobody really knows what it is. Of course, dictionaries are going to provide you with dozens of possible meanings. And, yes, all of them will seem pretty logical. Ancient Greeks believed that ethics is something that grows within us, it spreads to all corners of our souls and determines our qualities. Basically, it shows whether we are nice or mean people. No, it`s a huge oversimplification. You know what? How about asking a professional? Umberto Eco is a world famous Italian writer, and I don`t know why we would even bother telling you this information. I bet you know all of that already. Even if you haven`t read any of Eco`s works (which is an unfortune, but I`m sure you had better things to do, like reading Hemingway, for example), you still must accept the fact that he is a genius. Not because everybody says so, but because it`s just the mere truth that you can`t deny. The grass is green, the sky is blue, the Sun is hot, and Umberto Eco is an ingenious writer. It`s like a constant in mathematics. No matter how hard you`re trying to deny it, you won`t be able to change that statement. If you`re still wondering what`s so special about this massively talented man, you can find some facts from his biography right in this article. Okay, we were about to deal with that essay on ethics as far as I remember. And Umberto Eco`s spirit will be hopefully glad to help us here. If you aren`t really into overthinking all those ethical problems, there is one unique and splendid source of inspiration that you can use. “Five Moral Pieces” by Umberto Eco is a great work, which came along just in time in Italian literature. It is really about ethics and moral issues that individuals, nations, and countries face. Eco takes a modern approach to discussing various topics with his readers. And discussion is the key here. He asks all kinds of questions. When you`re writing about such a controversial issue, you have to make sure that your audience is on the same page with you. That`s why rhetorical questions or questions which will make you look in the deepest pit of your own soul can make those five essays so wonderful. This is lesson number one from Umberto Eco: ask questions. When you write about morality, spiritualism, beliefs, you write about the topics that can make some people uncomfortable, while others may find your works to be unbelievably relatable. You need to be curious, you need those questions so your readers can pause and think. This trick will make your essays remarkable and unforgettable. Umberto Eco dedicated his “Five Moral Pieces” to various topics. He is talking about religion, war, fascism in general and specific form of fascism that was developed in Italy, about racism, migration and immigration (that`s a particularly interesting part, by the way). What makes all those essays powerful is the way Umberto Eco sends his message to society. It`s like he says that he`s right, he has a point here, and he gives all kinds of arguments to prove his point. He addresses officials, governments, political parties and he is trying to teach them the right ways of living and working. He doesn`t hesitate when he needs to use informal language or to be presumptuous. He shares his wisdom with his readers, so it seems that Eco assumes that not all people will support his ideas, but he still is absolutely sure he`s right. So, lesson number two is: if you have your opinion, don`t be afraid to speak out even if you know that your ideas won`t be supported by society. Stand your ground and don`t give up on your principles when the topic you`re writing about is rather sensitive. However, find respect in your heart towards people who may disagree with you. It`s the era of freedom of speech we`re living in. We`ve always been taught that simple style of writing will be significantly more appealing to readers than fancy bulky word combinations nobody can interpret. However, there is one prominent writer who decided that this rule doesn`t concern him. Start reading Eco`s works, and you`ll see how intricate, witty, and exquisite his language is. It`s not that you`ll have to look up for every other word in a dictionary, no. He uses pretty common words, but these are definitely not those words that will be your first choice in a daily conversation. His manner of writing is both simple and complicated. Can you imagine how powerful and captivating he may sound in the passionate and melodious Italian language? People who speak it must be so lucky to be able to read his original masterpieces.